Lomond Books | Wholesale Books, Calendars, Postcards, Maps, Scotland | Lomond Publishing | Book Distribution Going Down of the Sun: The Great War & the Rural Lewis Com. 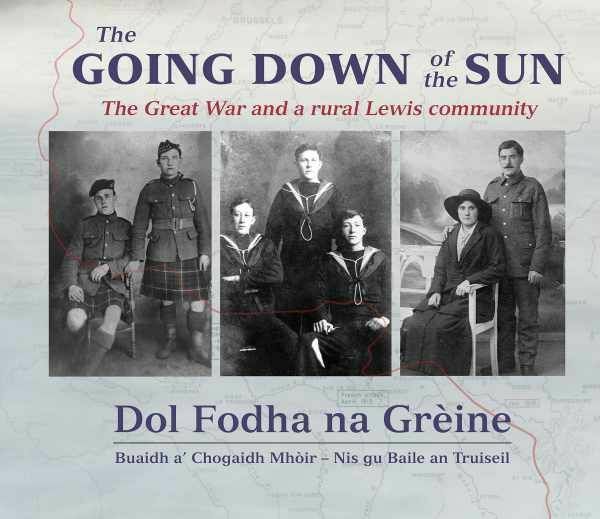 The story of one community in the Hebrides and the impact of the First World War on those who fought and on those who stayed at home. This book is a unique collection of interviews, photographs and writing in Gaelic and English selected from the Comunn Eachdraidh archives.